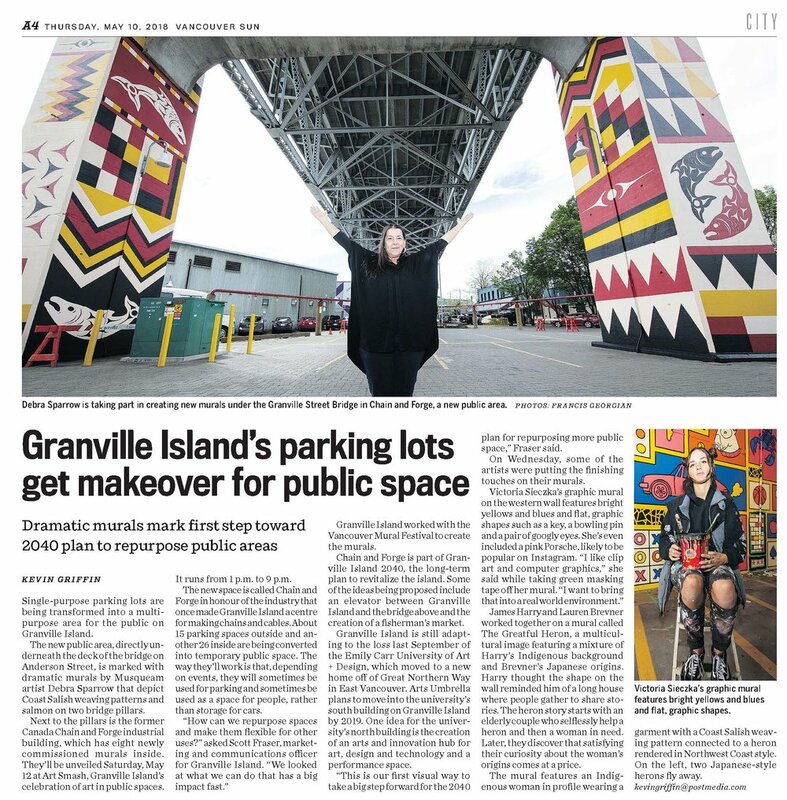 Over the past two weeks, a group of local and international artists have been creating new murals in Granville Island's Chain & Forge – a new public space located underneath the Granville Street Bridge. 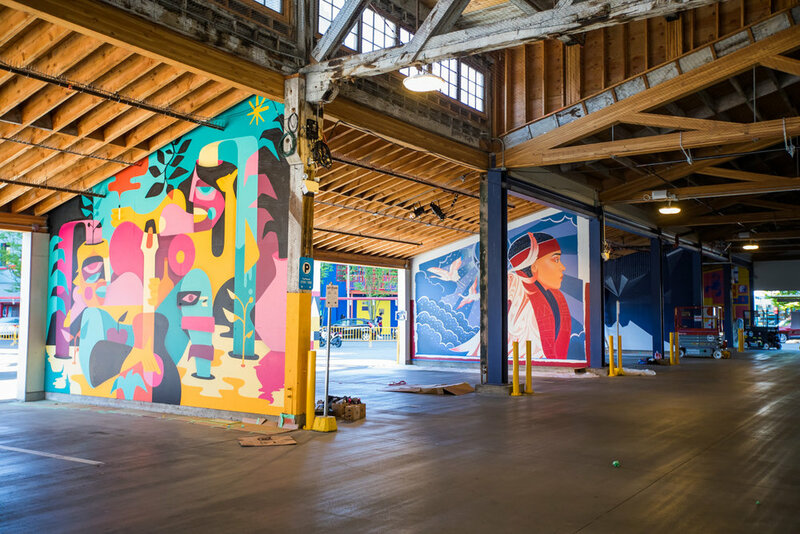 The creation of the murals is part of Art Smash, a new annual event on Granville Island that celebrates visual art in public spaces. The completed murals will be officially unveiled on May 12th during the Art Smash Street Party Celebration that will be held from 1 pm to 9 pm and will feature live mural creation, non-stop music from local DJs, food trucks, BC craft breweries and live dance performances. Hope you can join us! Want to know more about the artists? Read the Vancouver Sun's story here.